You never know when you have a question that needs to be answered. Having that rolodex of people that you can reach out to is extremely beneficial. I think as a younger leader coming up in the ranks, we have to take that first step to ask questions. Don’t tell me something I can’t do or I’m not capable of, because I will be sure to prove them wrong. You just make it happen. It’s definitely day by day with things that you’re looking at that you have to manage, but I know that if I need some time for something, I have a great team that’ll cover for me and we’ll still move forward as an organization. When you’re going from a college to pro rank, the game moves extremely quickly, but for the best players in the world, the game actually slows down for them. I would say the same applies for being a younger generation leader. Gamble: A few of you have mentioned organizations like CHIME and being able to have that resource for professional development, and also networking. Any memorable conversations you’d had with someone — whether it was reaching out to say, ‘how do I handle this,’ or anything that sticks out as being really useful toward your own professional growth? Hobbs: I have a couple. Actually David Chou has been a great resource for me in understanding some different things. It’s different; sometimes when you’ve been in the same organization and gone through there, there are things that you don’t get experience in. David, being someone who’s kind of moved around and has experience at other places, different systems, and things like that, has been a great resource for me. We’ve texted back and forth a number of times. The other experience I have is when I first got into this role, I wanted to get involved locally in different organizations and stuff, and Chuck Christian was one of the CHIME CIO Boot Camp people I had reached out to. He was priorly from Indiana before he took his current role, so he was able to share some contacts and get me involved in the local HIMSS environment and things like that. I think CHIME is great for being able to get out there and network and meet people. You never know when you have a question that needs to be answered. Having that rolodex of people that you can reach out to is extremely beneficial. Turman: I’d like to add to that and mention that you get to a point where you need to go that next step. So I had looked at CHIME as that next step to broaden my background, so to speak. I’ll be honest with you all, it was intimidating to attend my first CHIME. Blond hair, female, young — these are all great attributes for the bar. I honestly didn’t feel like I was going to be well accepted as an equal, especially being from a rural small facility. But I learned I was wrong. I was welcomed with open arms, and I would attribute many of my successes just from networking and communicating with folks that I’ve met at CHIME and HIMSS. Chou: I think as a younger generation leader, we have to take the first step and just ask for help because most of the time people will respond and assist if needed. So I’m pretty sure everyone on this call has reached out to someone. We’ve reached out to others or even have been asked questions and we always respond in any way we can to help someone. I think as a younger leader coming up in the ranks, we have to take that first step to ask questions; to not be afraid to ask questions. I think taking that first step is always intimidating at the starting point, but after you get through that, I think you can make some great connections. You’ll never know where it could take you. Bliven: I just would add on to what everyone is saying; CHIME has been a great resource. 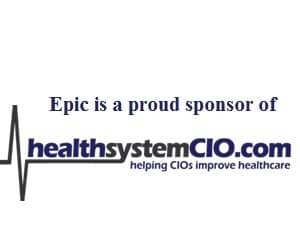 The Boot Camp was a great learning experience and it’s been good of meeting people at networking events at the HIMSS local chapter and the national meeting, as well as our vendor health conference and university health consortium. The listservs there have been also a great resource just to reach out and get others’ expertise. Everyone is always very willing to help. And at first you’re thinking, will you get that answer if you’re reaching out, and the answer is usually yes. There are people that are willing to share and help you along the way. Gamble: That’s great. So one final area I wanted to touch on is work-life balance, and it’s something that’s kind of become a trendy topic. But actually achieving that is far from attainable for a lot of people, and being on the younger side, you tend to be a little bit more likely to have younger children, as I know several of you do. So how do you navigate this, with having this very demanding leadership role, but then also attending to your family as well? Anna, do you want to start? I know that you, like me, also have young children — we actually both have twins. So if you want to just kind of share a little bit of how you deal with this. Turman: Well, I deal with it on a regular basis. I actually had a CIO when we were at Orlando HIMSS who saw me pregnant and he actually asked, ‘How do you expect to be a good CIO and do your job well and have a kid?’ I mentioned, ‘same as you, effortlessly.’ And I mentioned to him, ‘Did you know that I have a set of 4-year-old twins at home?’ We don’t know each other well enough to make assumptions on how well someone does something. So I deal with this on a regular basis. But I have the most incredible boss. Our CEO is very family-oriented. There are many times where I have to work from home. Actually, yesterday, my day care had tonsillitis so I had to stay home and work from home. So there’s many times where you just make it happen. Much like that gentleman had mentioned to me at the conference, don’t tell me something I can’t do or I’m not capable of, because I will be sure to prove them wrong. You just make it happen. I work while they sleep and then maybe sleep while they work. Hobbs: I would kind of tag onto some of those things. Technology in general has made work-life balance both easier and harder. We have the ability to work from home in the evening — a lot of what we do is email and communication and things like that. So the requirements to be in the office per se aren’t necessarily probably as stringent as what they were prior to some of the abilities that we have. I have an awesome CEO and leadership team and being able to not be in the office but still work and get those things done is there. And another big thing for me is we’re fortunate that my wife is able to stay home with our kids. That does make my life easier, so that when I’m here I can concentrate and I know the kids are taken care of. I know that she’s taking care of getting them to school and all those kind of things and that does make my life a little easier, so that when I get home I can spend that time with them and then finish up work after everybody else is in bed. Bliven: The culture of our organization here is fantastic, very supportive. In my leadership team everybody really chips in and covers for each other if we need to, and that’s been fantastic. So it’s definitely day by day with things that you’re looking at that you have to manage, but I know that if I need some time for something, I have a great team that’ll cover for me and we’ll still move forward as an organization. Chou: I agree with what everyone said. And I think it also has to do with what we talked about earlier, and that’s surrounding yourself with great people. I have to surround myself with great babysitters and great nannies, because I do have three small kids. So I think that that plays a big role in really maximizing all the time that we have efficiently. I don’t sleep much. When I do, I make sure I get good sleep. But when I’m up, I make sure I’m trying to maximize every minute of it. Gamble: And then there’s also taking time out to do things that you want to do. I don’t know if you’re ever really disconnected, but just getting away from things. I know we have a couple of golfers on the line. Even though it’s difficult, I’m sure it’s also important to take time out to just be away from work. Chou: Oh yeah, definitely. There’s a lot of business done on the golf courses too, so I think when I get those two things, that helps keep things moving. Turman: I think much like everybody else on this phone, we don’t want to miss a minute of our children growing up or the time we can spend with them. And it sounds like we’re all very well supported by our CEOs to make that happen, to be able to provide as a great parent as well as a great employee. Gamble: And I’m sure that you will find that the more freedom or more support you’re given, the more likely you are to really want to do your job well and reward the fact that you’ve been given that support, if that makes sense. Hobbs: I think it’s important we as leaders pass that along and try to do that for your staff as well, and so it doesn’t just become a thing between you and your boss or the CEO or whoever that might be. That’s a culture you try to set as an organization. If someone asks for a day off, unless there’s some big project and deadline, I mean they know what’s on their plate, and so you try to come together as a team to make that work for everybody. Gamble: Okay. So to close, I wanted to see if anyone had any further thoughts, or maybe even thoughts or advice for the people who are younger and are coming in to the CIO role. Maybe something you wish you would have known or something that they should keep top of mind in preparing to or aspiring to step into the CIO role. Chou: I would say when you’re young and energetic, there are some times when you really have to slow down and think twice about a decision. I have made many rash decisions that I regret these days because, at that moment and at that junction, I didn’t take that moment to really think about that decision in the bigger picture. So slow down, if you can. It doesn’t have to move as quickly as you feel it in your mind. Similar to a pro athlete playing sports, when you’re going from a college to pro rank, the game moves extremely quickly, but for the best players in the world, the game actually slows down for them. I would say the same applies for being a younger generation leader. Turman: I completely agree with the slowdown. I would agree that was something I needed to do. I was trying to conquer and prove too much way too fast, and working too hard. I needed to step back and slow it down a bit. Hobbs: The one thing that I would say to people out there who aspire is don’t be afraid to put yourself out there. Don’t worry about being 100 percent prepared. When the opportunity comes up to take on responsibility, it’s okay to learn on the job a little bit and not necessarily have to wait that next time for somebody to ask. Turman: And just to add to that, I think it’s okay to learn a lot-bit because I think we all learn every day. And I’m honestly not sure ‘lot-bit’ is a word. Gamble: New words are added every day. You’ve got to love a Dictionary.com or Urban Dictionary, things like that. We need new terms. Well, I want to thank you all so much. I really appreciate it. You clearly obviously have so much going on and a lot on your plates, so it really means a lot that you were able to get together and talk about this and give really great perspectives from all of you. I think this is going to be very interesting for others and really beneficial too. Thanks so much, and hopefully I’ll get to catch up with you all individually at some point down the line.